Fabricators and suppliers of all things upholstery. Whether you are looking at giving new life to a priceless family heirloom, refurbishing your home or business or creating a piece which came to you in a dream, Wanaka Upholstery is the place to come. Get in touch to share your visions with Bevan and discuss the possibilities. At Modo Curtains, we pride ourselves on the high quality of our beautiful curtains. We are passionate about delivering the best value to our customers as we understand that the interior design of your home is important to you. And so it should be! To ensure that your curtains stand the test of time, we use only the highest quality fabrics and stock beautiful brands like Maurice Kain, Warwick and James, and more. Shopping at Modo Curtains gives you the peace of mind that your home will look fabulous for years to come and do credit to all the hard work you’ve put into your home renovation. What’s more, we don’t believe that you should have to lose out on the quality of your curtains just to keep costs down. To ensure top quality at a reasonable price, we directly import fabric from Australia and Europe, so there are no middle man costs in the entire process! All the curtains are hand made by skilled tailors in our Penrose workshop, and better yet – we can even deliver directly to your door. Good looking curtains make for a good looking home. Let us help you create a beautiful environment to live in. Come to Modo Curtains today. Use our online quoting system for an obligation free, clear quote. With no hidden costs! PaperHands print workshop began in 2009, setup by Ben and Helen Masters to make unique hand printed wall coverings. 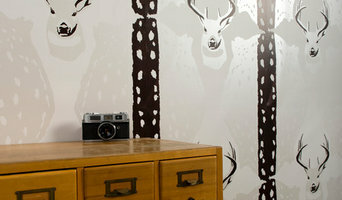 Ben an Artist and Retail Designer finds creating the wallpapers an exciting way to blend his talents and experience. Helen is a winemaker and enjoys the chance to express her design ideas and loves coming up with the concepts. We were surprised to find along the way that there was no one in NZ making quality handcrafted papers. Home decor · Furniture shop · Upholstery service. For the pure love of it, to me there is nothing better than seeing a forgotten chair reborn in a fabulous new way to be loved again. Furniture spray-finishing services Can match to any colour for interior colour schemes and custom furniture finishes using high quality, durable 2-pack paint systems. Complete spray painting services including priming, basecoat and clear coat. 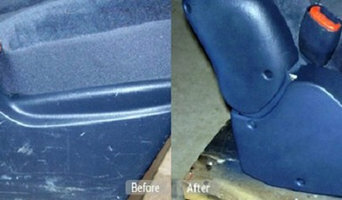 Also cover minor furniture repairs Do not do upholstery repairs sorry. Welcome to Seneca. A conduit between world class design and discerning New Zealand and Australian interiors – bringing you quality furnishings and home wares, as well as industry expertise from leading design houses and manufacturers around the globe. Our business is our passion, and our passion is our business. We love design. We love people. And we love helping people to express themselves through design in their homes, work places or hospitality fit out. We import and create beautiful interior furnishings. 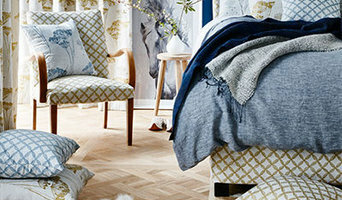 By fusing insights, creativity and imagination with exclusively sourced collections from the world’s leading fabric houses and home ware manufacturers, we help people live better. And we’ve been at it for a while now. Seneca is a family owned and operated business. It’s been this way for over 25 years. We travel and research extensively to bring cutting edge international trends, industry tips and techniques and products from high quality suppliers to our little corner of the world. Our collections cover all aspects of interior design from contemporary to classic, from total innovation to traditional designs. Our bed and bath linen ranges are a mix of the latest looks with timeless classics. We inspire and share our insights. We have beautiful showrooms in Auckland, Melbourne, Sydney and Brisbane and our bed and bath linen collections are stocked in most major linen retailers throughout New Zealand and Australia. You can also view our collections at Designmade showrooms in Wellington and Christchurch and through our agents in Adelaide and Perth. Keeping a carpet clean is not easy. You need an experienced hand to help you get rid of stubborn stains, dust, and dirt. Luckily, we are only one phone call away on +644 887 1081. Our experienced carpet cleaners have been providing quality services to residents and businesses in Wellington for years. We have reliable solutions for different carpet cleaning problems. Be it flood damage restoration, mattress sanitizing, Upholstery cleaning, or rug repair. Our eco-friendly methods have been tried, tested, and proven to work. Furthermore, we are committed, always available, and charge very affordable rates. Give us a call and get your free quote today. Your top upholsterer can rehabilitate a worn or outdated chair, sofa, ottoman or other piece — a great money-saver when the cost of replacement may be much, much more. He or she can help you create bespoke furniture or, if you have a one-of-a-kind piece that needs restoration, their stock of designer fabrics will give you a range of options. 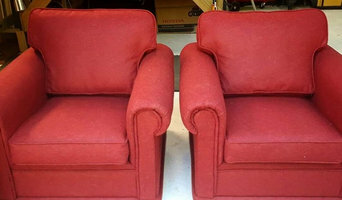 Giving new life to an old, faithful chair or sofa is an area an upholsterer excels. Essentially, upholsterers work with fabric to cover seating, bedsprings, cornice boards, pillows and other furnishings and interior elements. They also might attach or replace padding and batting, trim a piece with fringe or another border, add piping and tufting, fashion slipcovers and refinish wood. Some upholsterers are skilled at furniture construction and repair. They can also advise you about the pros and cons of different fabrics so you can choose the best type for the project in your home. Find an upholsterer on Houzz. Narrow your search in the Professionals section of the website to upholstery. You can also look through photos for projects similar to yours, and contact the designer for upholstery information.